Servicing Orlando, Daytona, Miami, Jacksonville, Tampa & Beyond! We promise not to insult you with any of gimmicky "Used Car Salesman Tactics" like some of the other local so-called competitors. We promise to make your experience with us as honest, seamless and transparent as humanly possible! We promise to deliver 100% of what you expect on-time, every time! We promise that you will receive a professional service with a well maintained quality product for a fair and honorable price staffed by pleasant well-qualified individuals-technicians every single time! We don't believe in using any of those fancy internet catchphrases where others claim to be The Best, The Leaders, Your Premier, Best Selection, Largest Selection or dazzle you with fake photos and fake internet reviews or the popular one of the slew of false companies that mislead you back to a one central phone number! ...YOU SIMPLY DESERVE BETTER THAN THAT! We simply offer a range of headache-free professional services, from Backline Rental Support to Technical Support. Orlando Backline Rentals also has strategic partnerships with the areas most diverse production houses. Whether you want to rent Backline, Audio, Staging, Lighting & Cartage or something as simple as renting a GONG for your Special Event! – Orlando Backline Rentals can help make it happen! 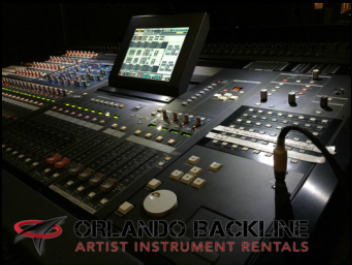 ORLANDO BACKLINE RENTALS since 1989 has serviced the Southeast & Beyond!! We service such a diverse clientele from the LOCAL TO NATIONAL RECORDING ARTIST, NFL TEAMS-SUPER BOWLS, SOFTWARE GIANTS, CRUISE SHIP LINES, NASCAR, PRESIDENTS TO POLITICAL CAMPAIGNS & FORTUNE 500 Companies! All major brands, All Industry-Specific Gear packaged immaculately to satisfy the toughest of musical acts! We also stock a complete line of orchestra instruments including Upright Basses and Cellos and hard to find orchestral percussion! ORLANDO BACKLINE RENTALS ​Stock a variety of Analog / Digital Audio consoles, IEM (In-Ear Monitors), RF Handhelds, Digital Recorders , Small Format Mixers and Portable to Large Scale Speaker Systems! We also stock Pro DJ Gear, Wireless Communication to Signal Processors! Call or write us today and speak with our straight-talk staff of fully trained industry professionals who will help make your next event a true success. 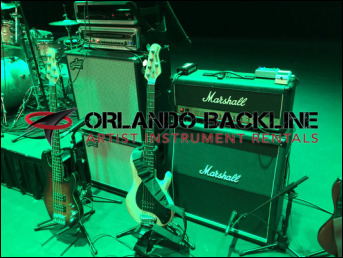 ORLANDO BACKLINE RENTALS Utilizes only well qualified-skilled veteran road-tested technicians (Live & Corporate Events). We promise they will always be Cordial ,Sober & Uniformed as well as accommodating, polite & reliable to serve you our valued client! 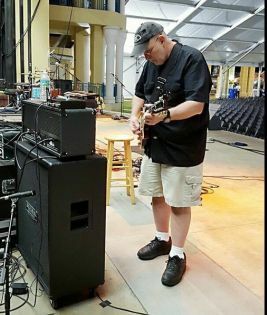 From the Delivery-Setup to Strike or whether you simply need of a Drum Tech, Guitar/Bass Tech, Keyboard Tech, Audio Tech, Lighting Tech or simply some basic stage/truck stagehands we always have you covered! ORLANDO BACKLINE RENTALS offers regional Cartage Services for those clients coming into the region. Why RENT, when you can hire a professional & insured company for all your cartage needs. We can furnish Vans to 26' to SEMI TRUCKS! We pay CASH for all types of well loved quality instruments! Simply click the picture above and complete a short form and we will get back with you ASAP. ​HAVE ANY OF THESE LAYING AROUND? 2017 INFOCOMM Orlando was a smash it! We typically have serviced the Martin-Audio Booth & Demo Room for the past 15 years. But since the departure of our great old friend Robert Hofkamp moving over the VOID ACOUSTICS we decided to follow Rob and see where that course & paths will carry us ALL! Very Well Received, was the general impression with some of our Vendors we trust and I can tell you that these boxes sound phenomenal! Please make sure to keep an ear out for VOID ACOUSTICS coming to a small town near you! ORLANDO BACKLINE RENTALS & CARTAGE recently finished up a run of 4 City Tour with THE MIDTOWN MEN. Always great to work with the guys and their crew! Orlando Florida 2017 Pro Bowl FanZone with the ladies & Gents from the group The Sisterhood! Special Thanks to PRG's own Cletus Norton & Crew for making this a great day for everyone involved! This past week we officially completed our first job at the new Dr. Phillips PAC in Downtown Orlando with Artist Chris Botti! Special thanks to the Staff and Management for making us feel so welcome! THANK YOU! Highlights from a recent show with FLO-RIDA & Victoria Secret! As of this past January 1st we were OFFICIALLY freed from the tyranny of the past four years! Christine and I are extremely grateful for all the love & emotional support shown to us by you all. THANK YOU! With the arrival of 2016, we can finally focus on building another well-respected business model that everyone has known for the past twenty-five years. We are coming back bigger, better, and stronger.! Most importantly, we are more driven to provide more of that personal touch which guarantees that all of your backline & production needs are well taken care of. 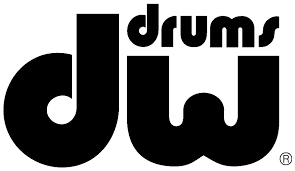 We are very excited to be back to serving all of your Backline (Musical Instrument Rentals) needs and looking forward to working with and seeing everyone once again! We have missed you! Everyone stay tuned and we will see you soon! Special Thanks to our friends with the Alan Parsons Live Project for making us always feel like one of the Family! !